Wide array of uses of cups across several product lines, which includes dairy foods, fruit juices, mineral water has prevail the demand for auxiliary advancements in packaging equipment such as cup fill and seal machines. Cup fill and seal machines are easy while using and quick to function, emanating effective packaging support and efficiency in operations. Cup fill and seal machines are having the capacity of filling products of varied attributes such as gel or liquid solutions such as water. Packaging market has produced a wide product mix of single serve packaging systems into the market. On the account of higher demands among the working class of population the cup fill and seal machine market ensue considerable growth. Such cup fill and seal machines offer variety and custom capabilities as they pertains many alteration options for the user which includes the rotary tables, multiple stations, output rates and different frame sizes. The global Cup Fill and Seal Machine market is perceived to maintain a constant CAGR during the forecast period and is anticipated to exist at a significant level. Increase in per capita income and disposable income especially in Asia Pacific region exhibits significant cup fill and seal machine market. 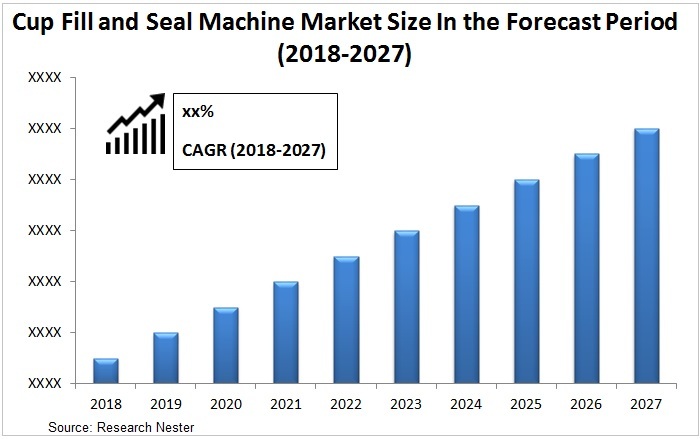 Surge in the per capita income along with the disposable income in several regions of Asia Pacific and North African region manifests significant growth in cup fill and seal machine market across the globe. The surge in food industry and the packaging innovations has propagated the industry to additional growth. 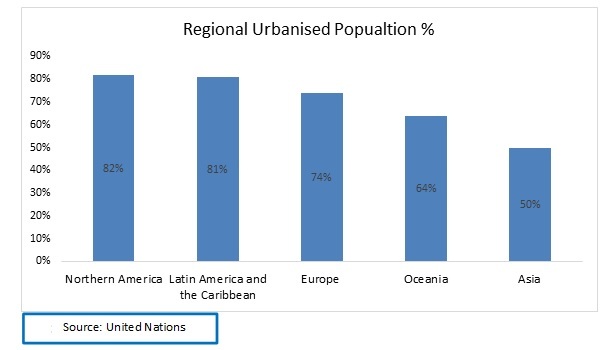 The increase in the population and urbanization in several Asian regions exhibits significant growth in food consumption signifying the high utilization of cup fills and seal machines to store various processed food such confectionary and baked goods. The prevalence of extreme hygienic conditions and sterilized rooms for sealing operation induced as a primary factor for the growth of cup fill and seal machine market. The machines are generally carved from stainless steel and aluminum alloy prohibiting the machine rust or corrosion hence providing a longer durability and additional flexibility of machine evince the global cup fill and seal machine market to grow. The recent development in the cup fill and seal machine market exhibits variety of machines launched which includes the rotary, linear, and pneumatic cup fill and seal machines to alter the machines according to the requirements. Low awareness among the market tends to partially offset the market during the forecast period. The countries such as India, Indonesia, Bangladesh, Pakistan and South Africa evince low awareness towards the cup fill and seal machines which hinders the market to grow. On the basis of regional analysis, global cup fill and seal machine market is segmented into five major regions including North America, Europe, Asia Pacific, Latin America and Middle East & Africa region. North America cup fill and seal machine market expected to stand as a major industry across the globe due to the existence of United States as the leading market of primary packaging. Asia-Pacific cup fill and seal machine is anticipated to witness a considerable surge over the forecast period on the back of higher consumption of FMCG products. The burgeoning population of China and India along with the elevating per capita income delineates significant growth in cup fill and seal machine market in Asia-Pacific region. Europe exhibits a significant growth in cup fill and seal machine industry and is considered as the second largest market for cup fill and seal machine. Prasanna Packaging Machinery Pvt. Ltd.